As I mentioned in March, ever since experiencing BlogHer Boston, I’ve been super excited to attend the big BlogHer meeting in Chicago this summer. And I’m enormously grateful to have not one (Boston-based firm 360 Public Relations, which I announced in March), but two companies sponsoring my trip. 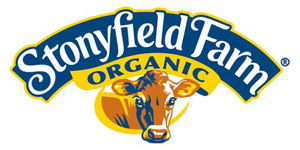 Thank you, Stonyfield Farm, for acting as my secondary sponsor for BlogHer Chicago! Please read on to learn about Stonyfield's impressive environmental initiatives, and a yummy but lesser known organic product they offer. Stonyfield donates 10% of profits to environmental efforts. Since 1993, they have contributed $7 million to environmental efforts across the globe. They engage the best environmental practices possible. Their yogurts are organic; operating pesticide and chemical-free saves contamination of soil, water, and people. In 1997, Stonyfield became the first company in the country to offset 100% of its CO2 emissions from its facility energy use, and has been carbon neutral since. Through their carbon offset program, Stonyfield has invested in wind energy, reforestation, methane recovery, and energy efficiency projects. Stonyfield uses #5 plastic since it’s the most lightweight, and they have partnered with Preserve to turn excess and recycled plastic cups into toothbrushes and razor blade handles. Stonyfield’s manufacturing plant features New Hampshire’s largest solar panel array. In 2007, Stonyfield founded ClimateCounts.org, which scores companies based on their efforts to address climate change. Stonyfield works to educate consumers by producing yogurt lids with environmental and educational messages, and they recently created YoTube, which offers mini-documentaries that explore what it means to be organic. Stonyfield has a new product: Oikos Organic apparently is the only nationally distributed organic Greek yogurt on the market today. Greek yogurt is thicker in texture than regular yogurt because the whey (liquid) is strained off; the process makes the yogurt naturally richer in protein and lower in carbohydrates compared to regular yogurt. Oikos is certified organic, made with milk from farms that don’t use toxic persistent chemicals and fertilizers, antibiotics, or synthetic growth hormones, and it is free of artificial flavors, colors, or sweeteners. Flavors include plain, blueberry, honey, vanilla, and strawberry. Yummy! Thank you for your BlogHer Chicago '09 sponsorship!